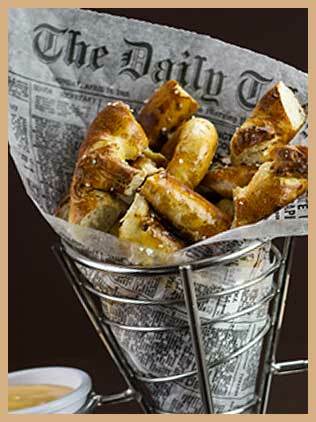 At The Brass Tap, a top priority is always the health, safety and satisfaction of our guests. We are committed to providing as accurate nutritional and allergen information as possible. However, based on cooking techniques and other variables resulting from the fresh preparation of your meal, there may be differences between the actual nutritional content of your prepared meal and the nutritional values of its constituent products. The information we provide does not account for the natural variability that occurs within ingredients and the variation that occurs due to the preparation of each individual order. The information provided online is based on the qualities of the ingredients prior to preparation. Preparation may alter the nutrional and allergen disclosures provided online. Accordingly, if you or a member of your dining party has a dietary restriction or food allergy, it is imperative that you alert your server before ordering.